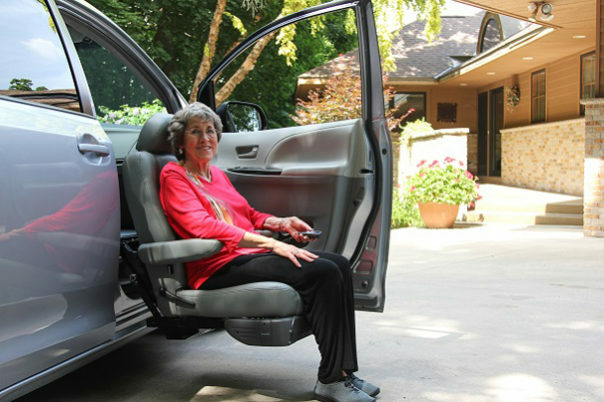 Achieve easy access in and out of your wheelchair van with an assist seat. 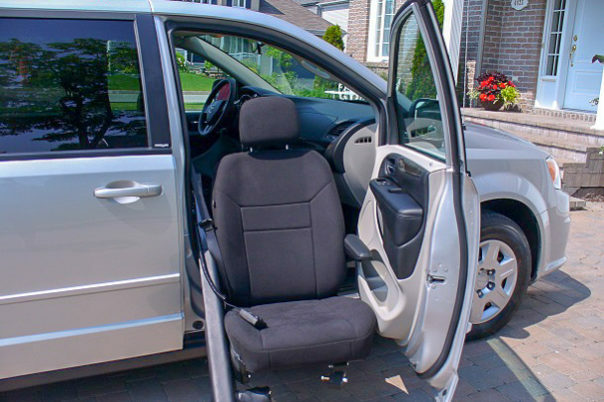 This mobility solution is available in either a manual turnout seat or power turnout seat, it's an alternative to transporting someone who has a mobility challenge. 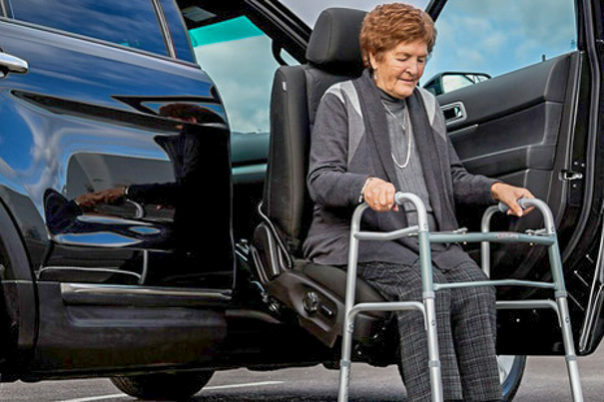 The LINK is a mobility solution that allows you to have your vehicle, your way. It installs without any structural modification, offering amazing legroom and comfort, it is the LINK between you and your vehicle. Love your vehicle. Keep the look, comfort, safety features and style of your ride. The LINK is so compact the original seat is always used. No lost space. No aftermarket seat. No need to try and match the interior finishes. The BraunAbility Turny Evo seat has lots of flexibility. Depending on the type of vehicle it is going in, it can be mounted in the front right (passenger) or left (driver). If space allows, it can also be mounted in the mid right or left. The Turny Evo has a 370 lb. capacity and has is fully automatic operation as well as an easy to use back up system. Simply press a switch and the assist seat will stow or deploy. 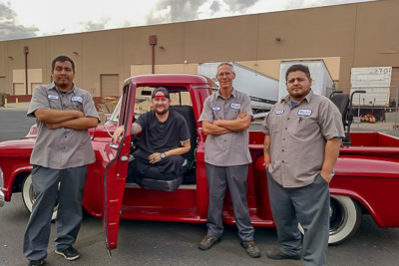 Our Phoenix customer, Josh, had us install an assist seat, Bruno wheelchair lift and hand controls in his 1957 Chevy. Our team loved working on this project!